Genioplasty is a sub-procedure of cosmetic facial surgery to bring about chin augmentation. Chin augmentation consists of mentoplasty and genioplasty. Genioplasty involves the addition of material to the existing chin structure of the patient to give the chin a symmetrical and shapely appearance. A genioplasty procedure is carried out by a cosmetic facial surgeon. Silicone implants – These are the most commonly used material for genioplasty. The are available in many shapes and sizes and can give the desired augmentation during a genioplasty. Polyethylene – Genioplasty also use implants made of polyethylene to enhance the chin. Polyethylene implants for genioplasty also allows surrounding tissues to grow into the implant, making it secure. Polytetrafluoroethylene – PTFE implants in genioplasty are used under the brandname Gore-TEX or ePTFE. It is inserted in blocks and anchored to the bone using screws in the genioplasty surgery. Genioplasty can also be carried out by surgically repositioning the chin bone and elevating it, thereby giving an appearance of an enhanced chin post recovery. Genioplasty is a chin augmentation procedure which when performed can improve the physical appearance of the patient’s face. Genioplasty surgery is recommended to patients who are in good health, and can easily withstand the stress of surgery and the effects of anaesthesia. Genioplasty is not recommended to patients who smoke, or have recently quit smoking as this may delay the patient’s recovery from the genioplasty procedure. All facial cosmetic surgical procedures are highly specialised procedures that must only be performed by a qualified cosmetic facial surgeon. Since the risk of deformity, infection and insufficient correction is high, patients must ensure that they seek expert medical guidance only. Dr. Debraj Shome is an extremely sought after oculoplastic and facial plastic surgeon who consults at some of India’s premier hospitals. He is an internationally trained cosmetic surgeon and has transformed the appearances of many international and high-profile clients. 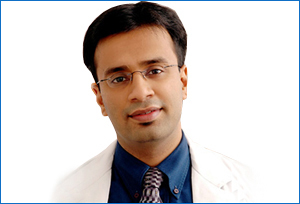 He has received several valued grants from internationally acclaimed universities and in 2015 he was voted as ‘The Most Promising Face in Facial Plastic Surgery’ in India. Dr. Shome has also been instrumental in turning India into a favourable destination for medical tourists.